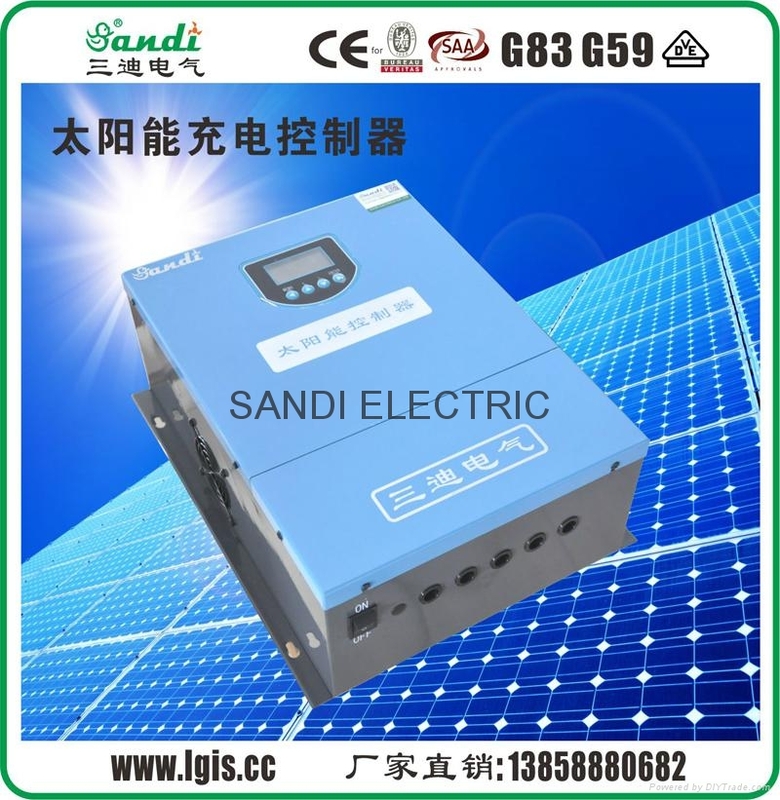 240V、360V、480V and other normal series voltage level base on different battery voltage of off-grid PV power station system project. Digital design, modular structure, stable and reliable. LCD panel (backlighting) show working parameters and the status. High efficiency by PWM charging method. 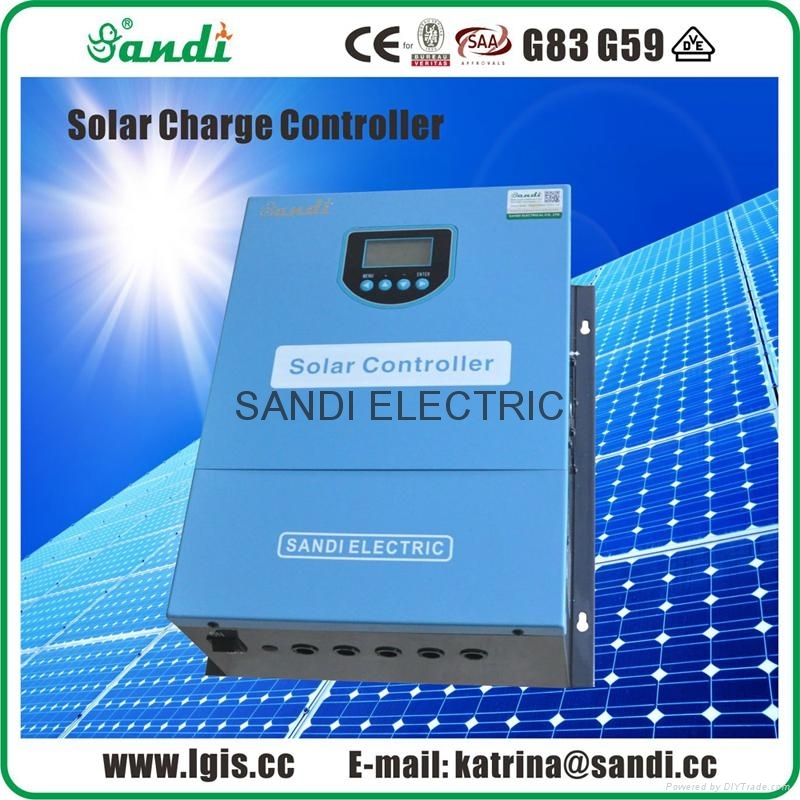 Be able to offer DC power supply (optional). Anti-reverse connection protection make there is no reversely charging in night. Also with over-charge, limited charging current &voltage protections for battery. 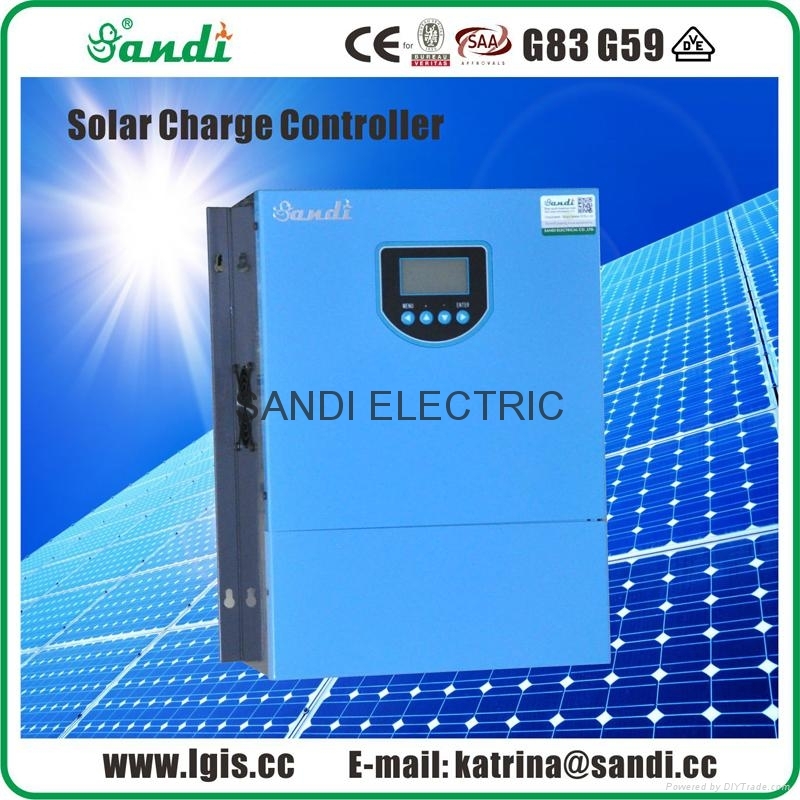 Users can adjust the working parameters, such as over-charge voltage, over-charge recovery voltage, delay time to cut off charging and delay time to recovery charging, etc. With alarm function in system to tell the abnormal status. 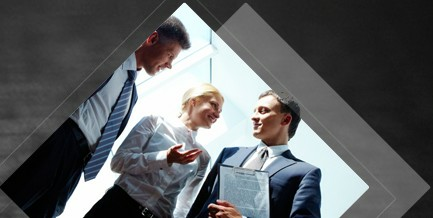 Equipped with data communication function (optional). Day and night double process mode. Scientific cooling design which make the PCB board always work under best temperature environment. This will greatly increase the life of the controller. Wall mounting type is easy for installation. VOC of PV arrays Max.